Looking to get away this weekend? Browse our last minute offers to see what's available. Our Family Holiday Park is loaded with fun and entertainment, which any of our guests are welcome to enjoy. The facilities include four indoor pools, a spa and sauna, an outdoor splash pool, crazy golf, go-karting, zip wire, archery and much more. With 7 miles of sand and sea, Camber Beach is the perfect day out for all the family. Whether you enjoy a game of hide and seek in the rolling dunes, a swim in the cool sea or just to kick back and relax, Camber is perfect. Want to zip about on the local landscape? Hire one of our eBikes to help you explore the surrounding area or take advantage of the cycling routes. We have a selection of holiday homes throughout Camber, including the popular area of Whitesands. We also offer accommodation in the beautiful town of Rye, less than 5 minutes from Camber. Lydd Golf Club is a well rated golfing experience with their Clubhouse offering a warm and friendly welcome. Alongside the championship quality 18-hole course, the club offers an 18 hole putting course, perfect for a family day out. Fancy a spot of sight-seeing? Check out some of the places surrounding Camber Sands. Find out about the team that makes the magic happen! 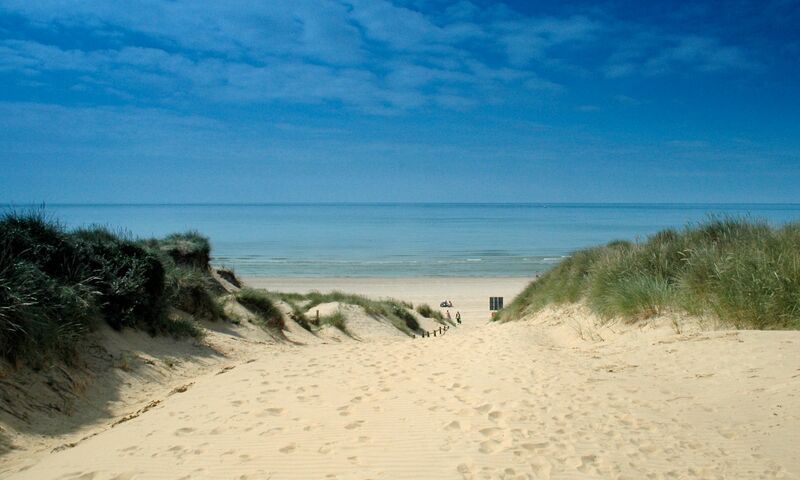 Camber Sands boasts 7 miles of golden sand, along with rolling dunes perfect for your UK beach holiday. We have a selection of Caravans & Lodges situated within Park Dean Resorts. We also have a lovely choice of houses situated in Camber and the nearby medieval town of Rye.